Will Self-Driving Cars Really Spell the End of DUIs? Few people these days would dispute the idea that fully autonomous vehicles are in our future, probably sooner than we think. Many of our cars are already parking for us, many are equipped to brake automatically to avoid collisions, and many self-driving prototypes are already in development. But what will these advancements do to our current DUI laws? Will our cars truly be so autonomous that intoxicated drivers will be able to use them as taxis? Will DUI laws become obsolete? Gauging from these remarks, the introduction of self-driving cars already seems to be generating more questions than it answers. The existing DUI laws will no doubt need to be rewritten, but to what extent still remains ambiguous. Let’s look at the issue from several angles to see what factors are in play. 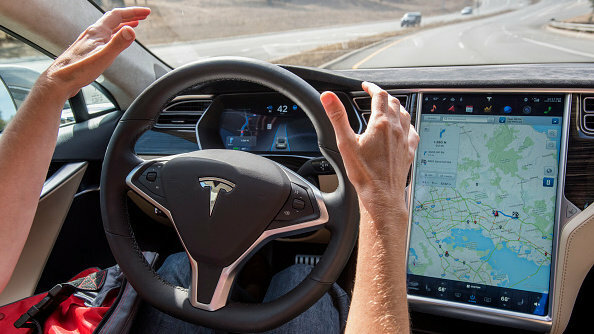 In 2016, Joshua Brown became the first recorded fatality in a vehicle having autopilot capabilities—namely, the Tesla S. Afterward, the Tesla Team responded on their website with a disclaimer about the Autopilot feature. This statement echoes the consensus of engineers, manufacturers and developers currently working on self-driving cars: The autonomous features aren’t designed to function independently of the driver/passenger. Current technology requires the operator of the vehicle to be available to take physical control in case of malfunction—and of course, the driver can’t do so safely if blood alcohol content (BAC) rises above a minimum level. Until technology jumps this hurdle and cars become completely autonomous—which may take place in a few years, or possibly never—we can expect basic DUI standards to remain in effect. A human in the vehicle must be able to resume control if necessary. The federal government and most states have identified specific blood alcohol thresholds for DUI, but what about the more ambiguous question of what constitutes “operation of a vehicle”? Each state addresses this question differently, but in many states the simple act of turning on a vehicle while impaired may constitute DUI. Here in California, the Vehicle Code defines a driver as someone in “actual physical control” of the vehicle, but different cases have interpreted that phrase as everything from running the engine to causing the vehicle to roll forward with the engine off. The upshot is that even if our vehicles become so “smart” that we can use them as self-driving taxis, the current DUI laws could still technically incriminate a driver with a blood alcohol content above the legal limit for simply turning on the car, or even being in the seat while the car is in motion. Of course, enforcing these laws might be another story. Law enforcement currently identify suspected impairment based largely on how the vehicle is moving on the road (for example, if it’s driving too fast, too slow or swerving). If a self-driving car functioned properly, there would be no overt signs that the driver was DUI unless she took manual control. However, the law as written still makes it illegal to operate any vehicle while under the influence, whether autonomous or not. Legislators might eventually rewrite these laws to redefine what constitutes DUI, but don’t expect it to happen anytime soon, even when self-driving cars become the norm. The United States isn’t the only country grappling with the questions about autonomous vehicles and DUI laws. In fact, on the other side of globe, at least one nation is leaning toward a more liberal approach to the issue. 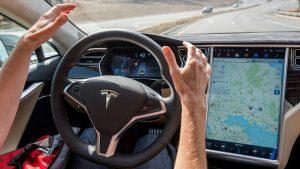 Last month, the National Transportation Commission (NTC) of Australia released a paper recommending that operators of self-driving cars be exempt from existing DUI laws for both alcohol and drug use. “One potential barrier to receiving the full benefits of automated vehicles would be to require occupants of automated vehicles, who are not driving, to comply with drink-driving laws,” the report states. “This would create a barrier to using a vehicle to safely drive home after drinking.” The NTC qualifies this recommendation by suggesting that DUI laws should apply if an impaired driver chooses to take manual control of the car. This approach of making DUI laws inapplicable to passengers in engaged self-driving cars provides an interesting bypass mechanism to rewriting the laws themselves—but again, enforcement might be another matter. How difficult would it be, for example, to determine the exact moment at which a driver under the influence chose to take manual control of the autonomous vehicle? Only a fully autonomous vehicle with no manual controls could be decisively exempt under such a provision. Obviously, the debates about DUI and autonomous vehicles are just beginning. We don’t know how far the technology will evolve, or when—nor do we know at what point lawyers, courts and law enforcement will have to deal with actual cases involving these questions. For now, suffice it to say that even if and when self-driving cars make DUI an obsolete concept, we shouldn’t expect DUI laws to disappear anytime soon. If you are facing DUI charges, your next steps may be critical to your future. Let our experienced attorneys help you explore your options. Give us a call today.